Giveaway ends January 20, 2013. Risk of Ruin is about a professional blackjack hole-card player / biker who becomes obsessed with a stripper who thinks she's God. A fixture at the blackjack tables of Las Vegas for almost a decade, Fast Action Jackson has never had much of a bankroll. Standing 5-foot-3 in his Western boots, what�s left of his hair slicked back over his tanned pate, like so many card counters I�ve met, overeducated and undercapitalized, he holds a masters degree in philosophy from some obscure east coast college. I don�t know if he�s ever been married. Every time I visit Vegas, he�s living with a different woman, always at her place. He�s not an easy guy to track down. I had asked him to write an article for Blackjack Forum on how a player with a small to moderate bankroll goes about surviving as a professional blackjack player. �You don�t want that article,� he insisted. �It�s too depressing. I once went ten weeks sleeping in my car so I wouldn�t have to use my precious bankroll on such a luxury as rent money. I�ve lost two girlfriends who believed in me enough to invest in me at the wrong time. I don�t know what it is about women, Bish, but they get very irritable if you lose their paycheck a few times. Even when you finally pay �em back, it�s all over. �The fact remains, Fast,� said I, �that you�ve been doing this for ten years. It may be a tough grind, but you�re making it. You make your living playing blackjack, and you�re not rich. My readers want to know how you do it. I asked him if he had any favorite casinos. �My favorite casinos are always the busiest casinos,� he said. �Right now, in Vegas, the new stores are great. The Mirage. The Excalibur. The Rio. These places are attracting crowds. I used to like Caesars because that�s where the big money played. Money is a great distraction. Who�s going to look at my $50 bets when the george sitting next to me is betting table limit? It�s all over for Caesars now, what with the Mirage next door. Even the over/under won�t save them. Caesars is empty. You can�t play there anymore. They�re dying a slow death. �But doesn�t that affect your accuracy?� I asked. [Note from the Blackjack Forum moderators: Most professional gamblers who succeed in turning a small bankroll into a large one are using methods other than card counting to beat the casinos at blackjack and other games. You need a bigger edge than you can get with card counting to overcome the fluctuations that can kill a small bankroll. 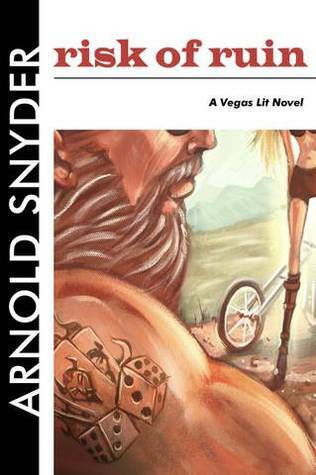 Arnold Snyder interviews Fast Action Jackson (the late Paul Keen) about surviving as a professional gambler in Las Vegas on a very small bankroll. Keen shares his low-stakes blackjack card counting techniques and trials.